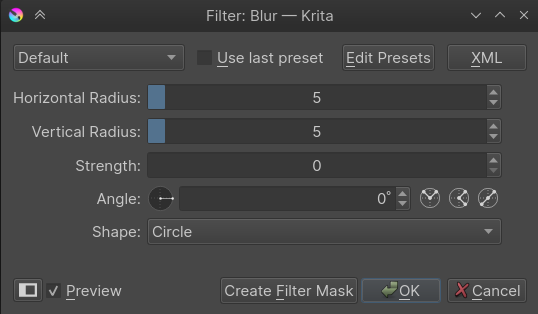 You can input the horizontal and vertical radius for the amount of blurring here. Doesn’t only blur, but also subtly smudge an image into a direction of the specified angle thus giving a feel of motion to the image. 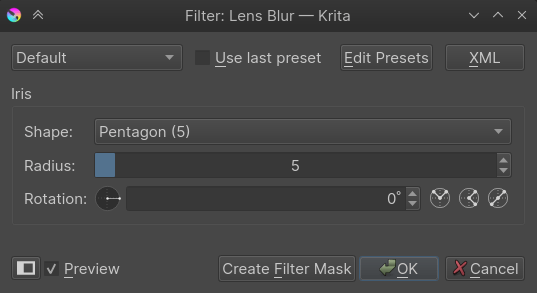 This filter is often used to create effects of fast moving objects.